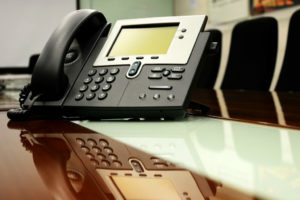 For quite some time now, millions of business owners have recognized that SIP trunking is the optimal approach to phone systems. Yet, not all of them can tell you just how or why this is true. And even more worrying is that few can tell you how to identify the right SIP trunking service providers for their needs. If you want to experience the ways that SIP trunking can help to improve your business, it has to start with knowing how to identify the right SIP trunking service providers. Why? Because, the ultimate way that premium SIP trunking service providers can help improve your business is by boosting the bottom line, i.e. saving you a lot of money. While this is done, in part, by their ability to eliminate traditional phone systems and gear, along with the fees associated with such services, there is also the performance end of things. And it is there that you must start do distinguish the providers from the ones you’ll want to avoid. Are They Using Tier 1? To get started on the right track with your SIP trunking provider, be sure they are using tier 1 networks. In other words, if they indicate that they have intermediary services (i.e. tier 2 or tier 3 networks), you can probably forget improving your business. This is because you won’t be able to be certain that the SIP service will be dependable or offer the kind of quality experience needed in modern business. Dropped calls, no dial tone, poor audio quality on a call…these are just a few issues to arise without a tier 1 network. Are They Good with Customer Service? Setting up a new SIP system is fairly straightforward, but not always without a few glitches. For example, you may need to upgrade the router at your business in order to yield the best results. You may even have a legacy phone system that needs support in transitioning to SIP. You may have a long list of features or devices that your new phone system has to support, and in all of these matters, the best SIP trunking service providers will be able to offer support. Even if using the basic dashboard is confusing, their support should be there for you. A free trial is awfully helpful in determining how good the service will be, and so you’ll want to work only with companies that give you a test drive, gratis. At SIP.US you can start to experience the many ways that SIP services can help improve your businesses bottom line, streamlining operations, cutting costs and delivering better customer experience, among many other benefits.